Every now and then a book comes along that is so vivid, so beautifully written that you wish you could rewind the clock and savor it again for the first time. This is such a book. My Twitter friends were raving about The Day Before, so I grabbed it at Borders while I was trolling their shelves last weekend. I didn't even open it; I just hauled it to the counter and paid for it. It wasn't until I cracked it open last night that I even saw the book is written in verse. It's a collection of short poems that tell a story, and I wasn't sure I'd like it at first. There was so much white space on the page. It felt too light and airy, seeing the words floating on the paper, rather than being lined up in nice, neat rows. It didn't take me long to realize that nothing about the book was comfortable or familiar. It was shockingly different, new, and absolutely breathtakingly, hauntingly beautiful. What once was strange and unfamiliar soon became a visual representation of freedom, which is ironic since the two characters in the book are anything but free. The power and simplicity of the poems reminded me why I love telling stories, and why I love to read. It made me feel, it made me ache, it made me cry, it made me smile. But above all, it made me want to write. Schroeder's work of art is a touching example of how words are like brush strokes in a painting: some are bold, some are light, but each one is important in portraying the full picture. I can only hope to someday wield a brush as majestically as she has done with The Day Before. Thank you, Lisa! Another teaser from Hell Transporter! It's Friday, so you know what that means! The YA Indie Carnival is in full swing yet again. This week has us all sharing a paragraph from a work in progress. For me, that means you get another teaser from Hell Transporter, the sequel to Between. To catch you up (in case you're new here), Between is a love story between a modern American girl who dies in a car accident and the 18th century Scottish Highlander who comes to take her to heaven. It launched on June 1st, so if you haven't read it yet, be sure to check it out. There are some whopping twists in Between, so I can only post snippets from the sequel that don't give anything away. Easier said than done! I've posted one teaser already and now (after some studious skimming through the sequel) here's another tiny taste for you! He took my coffee cup and set it on the chopping block with his own, then cupped my face with both hands and kissed me so thoroughly, I didn’t know if my feet were even touching the ground. When we came up for air, he rested his forehead against mine. The woodsy, salty smell of his skin wrapped around me and I wanted to drown myself in his eyes. Okay, okay, I know it's not much, but it'll have to do for now! If you're in the mood for some other tantalizing snippets, check out the rest of the carnival! Get out your confetti, it's giveaway time! Hopefully, you've already visited the other blogs in the chain to be entered for their goodies. If not, start here and I'll wait until you're back. Now's your chance to win an ebook of Between, my YA paranormal romance about a grim reaper with a Scottish accent. Since I am a big fan of Scotland (read: total Scot freak), I've decided to make this contest a wee bit of fun. To enter, just leave a comment below and tell me one Scottish term and what it means in English. The only trick is that you can't use a word that has already been used. Since I already used "wee" (which means "little" in English), that one's taken, but there are so many more awesome Scot-isms. Lay them on me! And don't forget to check out the next blog in the chain at 6pm (central) for more giveaway goodness! All giveaways will remain open until Sunday at noon, so you have time to enter them all. 'Cuz we're nice that way. Andrea from Loud Words and Sounds and Kyleigh from Find A Bookmark coordinated the Back to the Stacks giveaway tour, which starts tomorrow! Every hour from 8am to 8pm (central time) on Saturday, a new giveaway will be posted. I'll be giving away an ebook of Between at 5pm, so check back to enter! 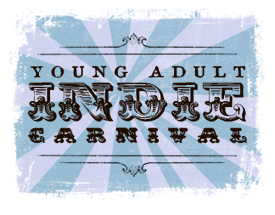 It's Friday so it's time for the weekly installment of the YA Indie Carnival! So grab some kettle corn and wander through the blog posts from some awesome authors. Today's topic is inspired. Or rather, what inspires me. I suppose everyone is looking for That Thing that will click, to help them write the book they've always wanted to. Stephen King's On Writing has some great insight on inspiration, so if you're a writer (or want to be), I highly recommend you read that book. For me, I like people watching. I like to try and describe them in my mind using terms other than hair or eye color, just as a fun exercise. I pay attention to how they interact, how they respond, how they present themselves. Every person is a book in and of themselves, a lifelong story with moments worth cheering over and times that have brought them to their knees. So I like to make up their stories in my head while I watch them. People watching, to me, is like lying on your back in the grass, calling out shaped in the clouds. It's making much of the little you see, letting your creative soul run wild, and basking in childlike fun. People inspire me. Because as much as we try to put them in a box, the wind will shift and suddenly, the cloud will morph into something we never expected. Find out what the rest of the YA Indie Carnival participants have to say! What's been the biggest surprise about going indie? I've been giving this one some serious thought, since the answers that immediately come to mind are negative. But then, the whole point is to shed some light on the good and bad of going it alone, so it wouldn't be fair to make it all rainbows and butterflies. 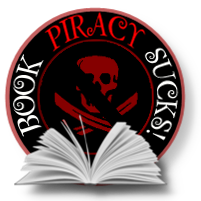 Every author's experience differs, but here are some surprises I've had along the way. I've sold more print books than ebooks. And I'm not sure why, exactly. Certainly, friends and family have wanted print copies that I could sign, which helps, but even readers I've met through Twitter seem to prefer print books and some are willing to pay the price. With so much hubbub about low priced ebooks (and how popular YA paranormal romance is), I thought that ebook sales would quickly outpace their print counterparts. That hasn't been the case so far. There's definitely something to be said about being in the right place at the right time, and Between has yet to be picked up by sites like Daily Cheap Reads and the Frugal eReader. Hopefully my time will come, so until then, I'll just be patient and continue doing what I'm doing. I thought it would be easier to categorize my book on Amazon. I'm thrilled by how some people really loooooooove the book. To sum up, the biggest surprise to me about my indie experience so far has been how little is within my control. One of the greatest advantages of going the indie route is that you can control everything: the title, the cover, the font, the price, etc. And yet, when it comes to sales and how people react to the book, you pretty much just have to say a prayer that it all works out. I promised my awesome friends on Twitter that I'd post a teaser from Hell Transporter (the sequel to Between) when I reached 2200 followers. Finding a mostly-spoiler-free snippet was harder than I thought it would be since there are some plot twist doozies in Between that I didn't want to give away. So there have been some redacted sentences to keep from spilling any beans. At the crack of noon, I snuck out of bed and threw on Aiden's linen shirt, which hung to my knees. Sunlight painted the log walls of the cabin's loft bedroom with an ethereal glow. I held my breath as I stood watching him sleep, like if I were to make the tiniest noise, the spell would be broken. My eyes traveled over his body: the sheets curled over one hip, his bare chest dusted with blond curls, his lips slightly parted. His jaw was starting to show some darkened stubble and my fingers ached to touch the wiry hairs on his chin, needing to hold on and not let go, to not let him out of my sight. He rolled onto one side and blinked sleepily at me, his lips curving into a smile that melted me down to my toes. "Where are ye going, lass?" he asked, his voice playful, but still husky with sleep. "Do you mean to sneak off with my clothes so that I have to chase you about the house in the altogether?" Loving the way his tongue curled around the r in his words, I giggled at the thought of him streaking through the house after me. I'd meant to bring him breakfast in bed, but his idea sounded like more fun. His kilt lie discarded on the floor, next to his dirk, belt, and sporran. With a wicked grin, I snatched up the kilt and made a run for the stairs. The bedsprings protested loudly as Aiden leapt off the mattress and bolted after me. A squeal escaped my lips as I raced down the steps, my heart pounding with the anticipation of being caught. A second later, my feet left the ground as he grabbed me around the waist and picked me up from behind. He twisted us around in the skinny stairwell and pressed me against the wall. Clutching the kilt between us, I tried to keep a straight face but the closeness of his naked body made my words come out in a stutter. "Oh, d-did you want this?" I asked with wide eyes, the picture of innocence. He shook his head and a dimple appeared on one cheek as he pinned me with his smile. "Nae. I want you," he said and kissed me. The green and black plaid fabric fluttered to the ground as I reached up to wrap my arms around him. He caught my wrists and pinned them above my head with one hand. Aha! Now you’re all mine. I heard his words in my head as clearly as if he’d spoken them out loud. I always was. I replied in my mind and he bent down to kiss me again. When he let go of my wrists, I wound my fingers through his hair, pulling him even closer. His hands were everywhere and before I knew it, he’d taken back his linen shirt as well until we were standing skin to skin in the stairwell, breathing hard. Well, what did you think? I hope you're as excited for the sequel as I am! If you haven't read Between yet, the ebook version is on sale through the end of August for only 99 cents. Hurry! Kiltgasmic! 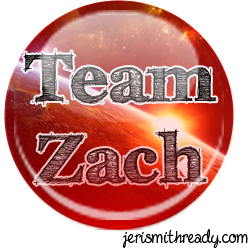 Vote for Zach in the final round today! You know how I love the Shade series by Jeri Smith-Ready, right? 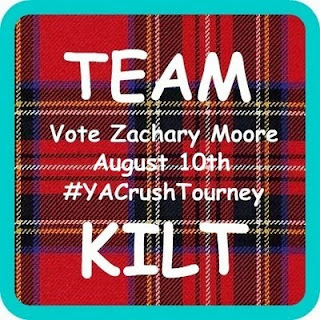 Zachary Moore is a yummy Scot from those books and he has advanced to the final round of the #YACrushTourney! Go Zach! Jeri Smith-Ready, besides being a phenomenal writer, is an absolutely sweetheart. Check out all the incentives that she's providing for you to vote for Zach in this final round. Not only that, but she's using the tourney as a way to raise money for the Tartan Army Children's Charity, a group that helps needy kids in Scotland. How cool is that?? 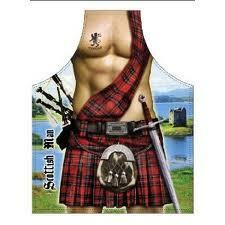 In addition, there is a veritable army of us who call ourselves #TeamKilt (hashtag from Twitter). If you throw your lot in with the Scots, you can win a kiltload of prizes. I've thrown in a couple of copies of Between which you can enter to win here and here. Head over to http://Ya-Sisterhood.blogspot.com TODAY!! and cast your vote for Zachary (you have to scroll a bit). You can vote once per device, so vote on your PC, your laptop, your phone, your friend's phone, your dad's laptop, your brother's PC, whatevs- just do it! Zach is up against Jace from the Mortal Instruments Series, who has completely slaughtered all competition to date. Time for Jace to learn the power of the mighty kilt! And if you need some inspiration, I've got that covered! If you're a lifelong believer in God, you should read this book. If you're a staunch atheist, you should read this book. If you are afraid God might be a grown up version of the Tooth Fairy, you should read this book. If you've ever lost a baby, you should read this book. What are people wearing in heaven? Can we fly once we get there? Who will we see in heaven? Who is seated on the left side of God? Are there children in heaven? ...then you should read this book. It took me less than one day and will stay with me for the rest of my life. YA Indie Carnival: Whatchya Readin? For this week of the YA Indie Carnival, we're supposed to talk about three indie books that we're reading. Okay, before you slay me completely, let me explain. I only started reading regularly about two years ago. Then I decided to write a book and my reading took a back seat. Now I read about as often as I write, so there's a better balance. But because I went so many years watching movies instead of reading books, there are a gajillion awesome books out there that I haven't read. I have a TBR pile that touches the ceiling, so I don't really have to *search* for something to read. 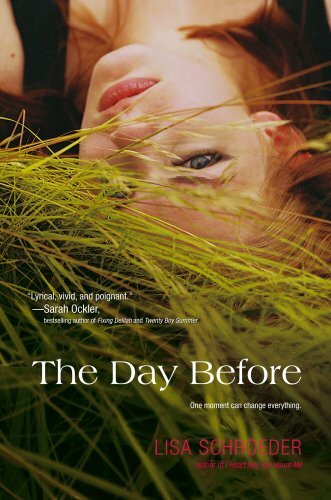 So the only indie books I've read have been because of a connection to the author, or upon recommendation from someone I know. And when I say "indie" I am talking small-press as well (since one I know in particular uses Createspace to publish). I've read Elizabeth Isaac's Light of Asteria, Jessica Degarmo's How to Meet a Guy at the Supermarket, and Molly Ringle's What Scotland Taught Me. But in the spirit of the carnival, I have downloaded Warriors of the Cross by our very own T.R. Graves. So, just because I haven't read much indie doesn't mean I don't want to or that I won't! Check out the other participants in the YA Indie Carnival! A Signing with Six Lovely YA Authors! I had the good fortune to attend a book signing at Third Place Books in Seattle last Sunday (the same bookstore where I'll be doing a signing on 8/17). 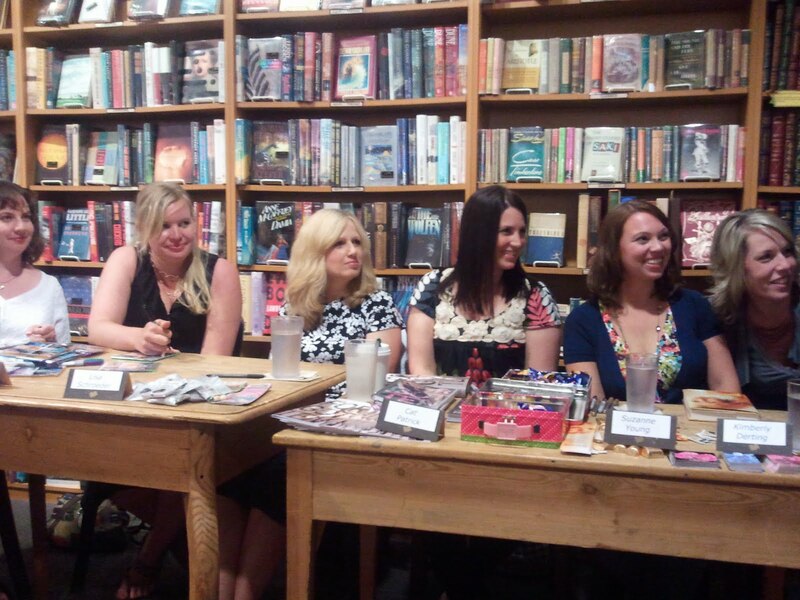 Six lovely young adult authors from the Pacific Northwest came together for a group signing. Each one gave a quick description of her book and how she was inspired to write it. They took questions from the audience and provided advice to new authors ("keep writing"), commented on balancing social media with writing ("use it as a reward but limit your time") and discussed the pros and cons of sequels. 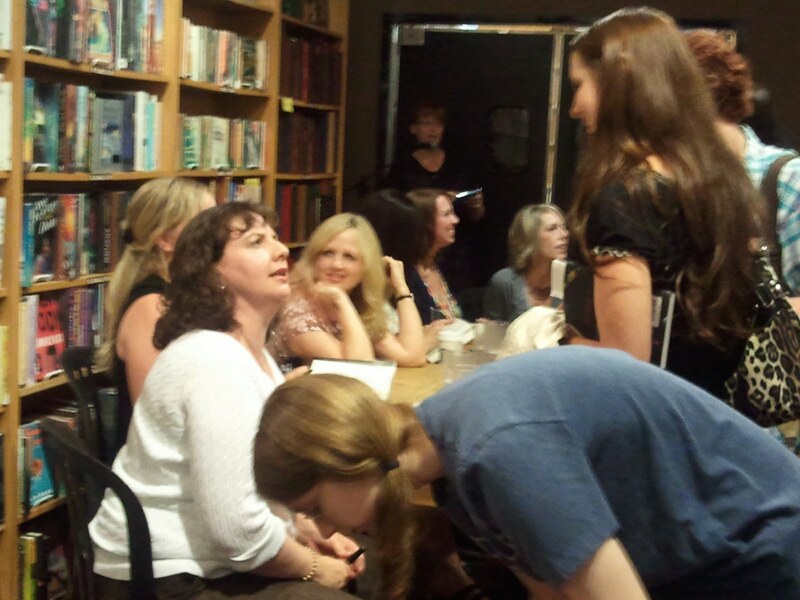 Suzanne Young said that her publisher asked her to write a sequel to her book, which she hadn't intended to do. Lisa Schroeder said she doesn't write sequels because she wouldn't want readers to be disappointed with the second book. She did say, however, that companion books are really fun to write and can be like sequels where you use some of the same characters, but allow for completely new story lines. The Q&A was brief and they passed the microphone down the line allowing each one to respond to the questions. The audience was hanging on every word. Such an intimate setting, and the ladies' humble personalities, made this a fun event for me and the dozens of teens in attendance.